Want to learn to Drive the right way? Check out North Georgia Technical College. 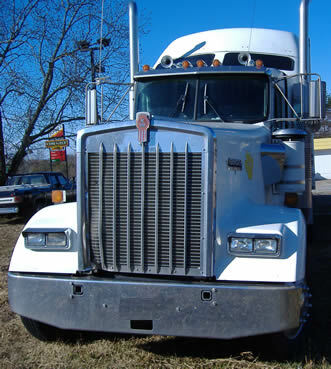 This site is designed for the driver preparing to take the CDL Class A test. A major reason for failing the test on the first try is the pre-trip inspection. There is a great deal of information which has to be repeated to the examiner. This is very important information which all truckers need to know for their safety and that of others, but often the test failure is only a lack of repeating the words which the examiner expects to hear. In an effort to assist with that process, we have developed this site. While the sections may not directly match those on your log book, we have divided them into areas which we feel are easier to memorize. Once you learn the procedure and all the items to check, it will be easy to make the proper entries on your inspection log.